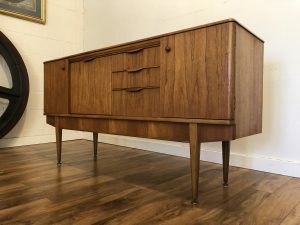 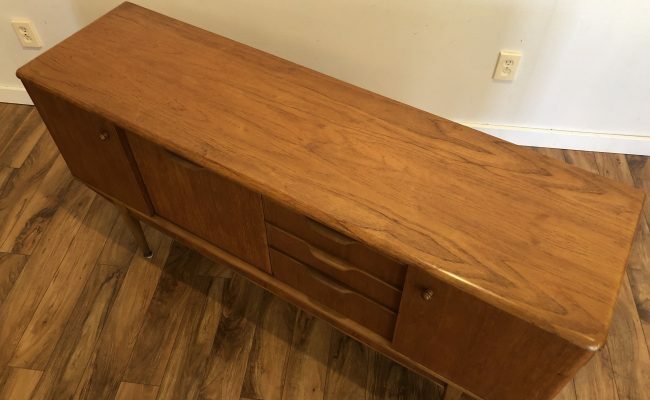 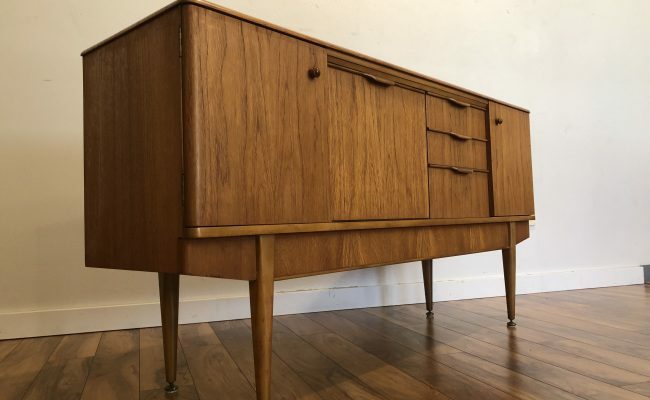 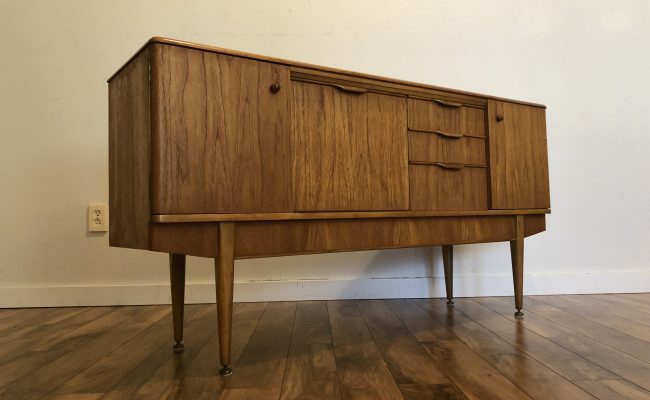 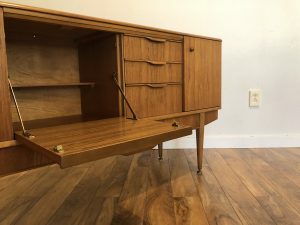 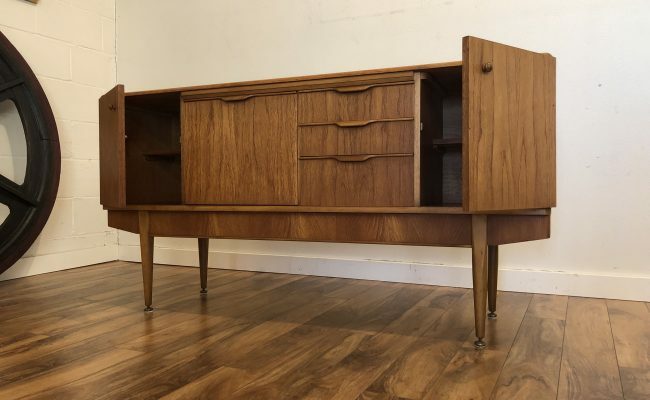 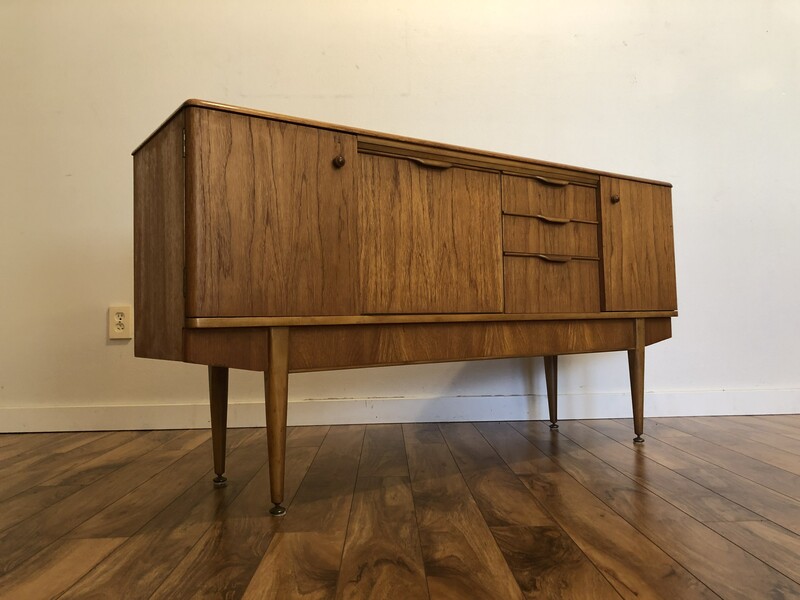 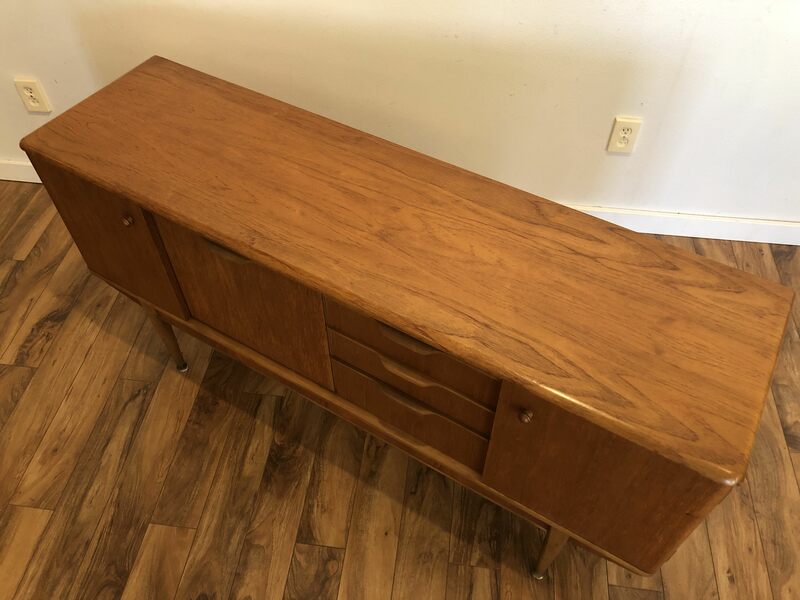 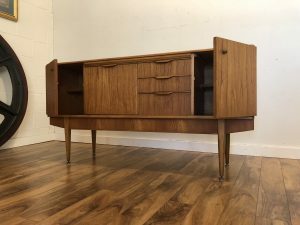 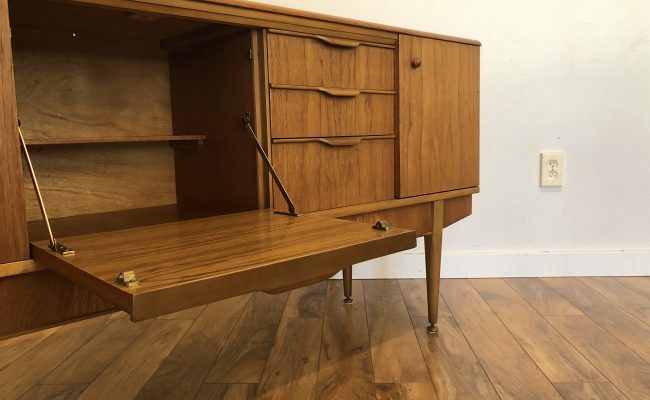 Very nice compact teak sideboard by Stonehill Furniture of England circa 1960's. 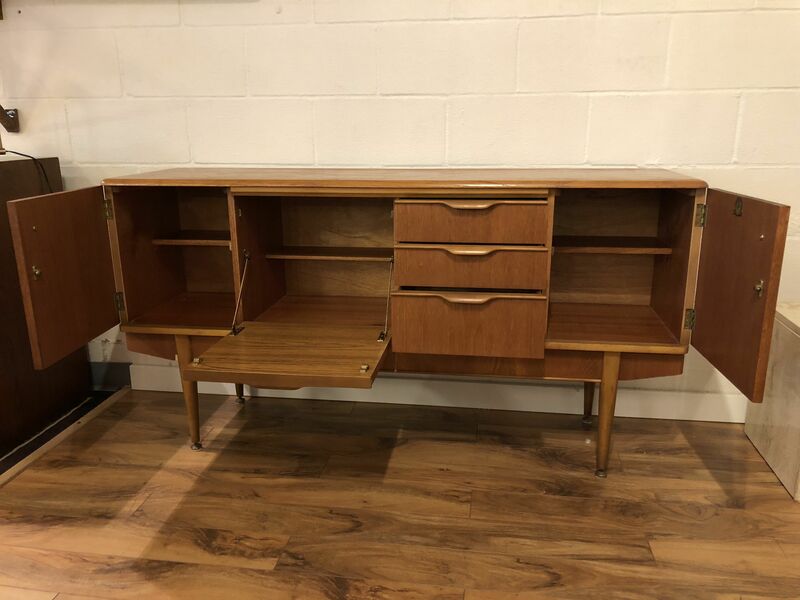 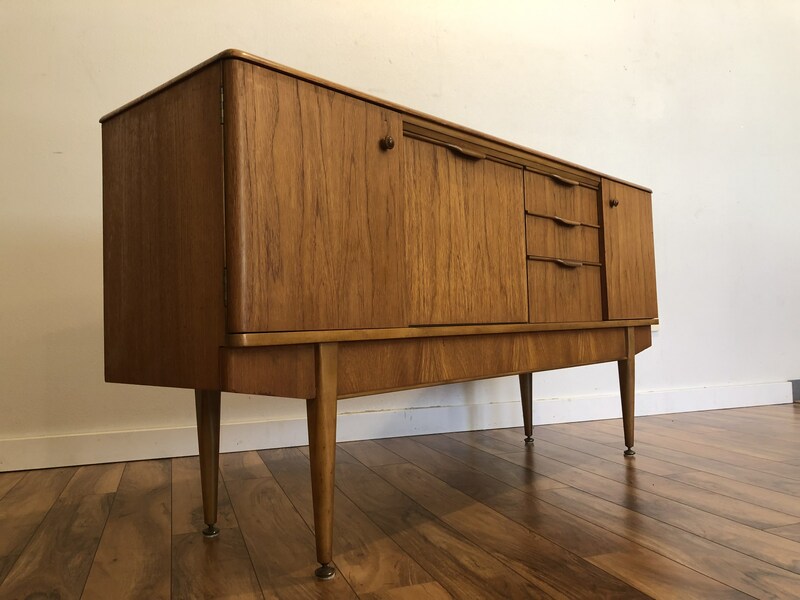 This is a well made piece in very good vintage condition, a perfect option to fit a space that can't accommodate most larger sideboards. 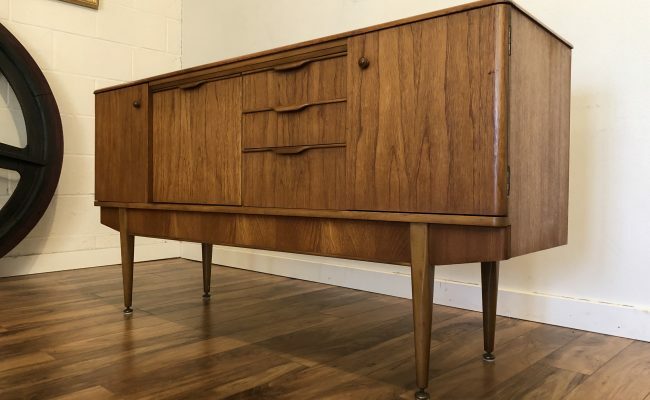 It offers Danish modern styling cues including sculpted wood pulls and tapered legs. 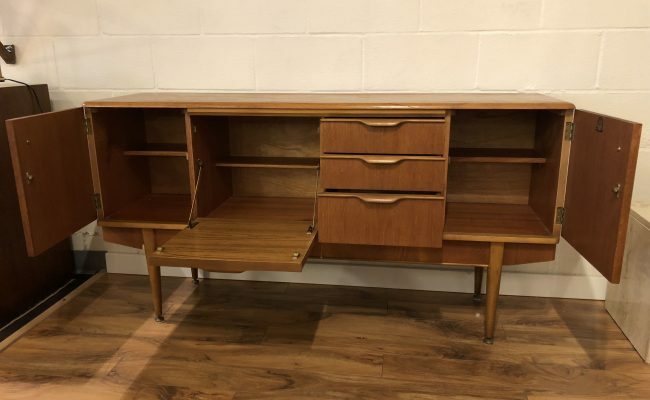 Each door opens to reveal storage space with an affixed shelf, which could probably be removed if desired. 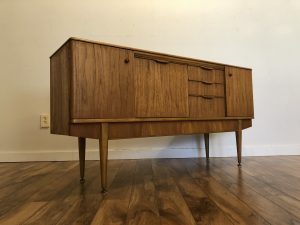 59.25" long, 16" deep, 31" high.